For many of us, our home is our sanctuary. However, full-time parenthood can be busy. And so, we often struggle to fulfil our DIY duties. But there are some tasks that need to be dealt with immediately. Keeping your living space free of damp and moisture is one of them. Both can affect your health and your wallet. Luckily, there are quick and effective ways to protect your abode and save money. For a damp and moisture-free home, this can be the best place to start. Check for damp and mould regularly, and you can easily avoid this problem. You may even be able to prevent it from occurring in the first place. Typically, damp is caused by leaking pipes, rising damp (which usually occurs in basements), or roof damage. You can maximise the healthiness of your home by performing inspections on a frequent basis. To stay on top of this task, why not create a damp and mould checklist? You could print this off and display it in your home. In doing so, you’ll be able to make sure that you minimise any risk of it entering your property. Excess moisture is one of the main causes of damp and mould. And this is largely caused by condensation. This occurs when an indoor area can’t store any more moisture. Also, it can accumulate over time. There are daily activities that could stop this from happening. Opening windows while you shower, or cook, are two examples. Likewise, leaving doors open can improve ventilation around the house – and this could prevent moisture from building to excessive levels. If you live in a basement flat or a particularly damp area, make sure to do this as often as possible. That way, you can maintain a dry, clean and happy home for years to come. Another way to inhibit the build-up of excess moisture is through heat. When it’s cold, droplets can form on indoor surfaces, such as mirrors, windowsills and walls. A well-insulated, heated property is less likely to suffer from this. Is your home typically chilly? If so, you can alleviate its potential for growing damp by increasing its warmth. You needn’t ramp up the heating, though. Something as light as an electric heater can help you to achieve this. Specialists that deliver reliable heating sources, like Coopers of Stortford, can mean the difference between a dry and a damp home. With the right tools and knowledge, you can guarantee that mould never enters your house or apartment. 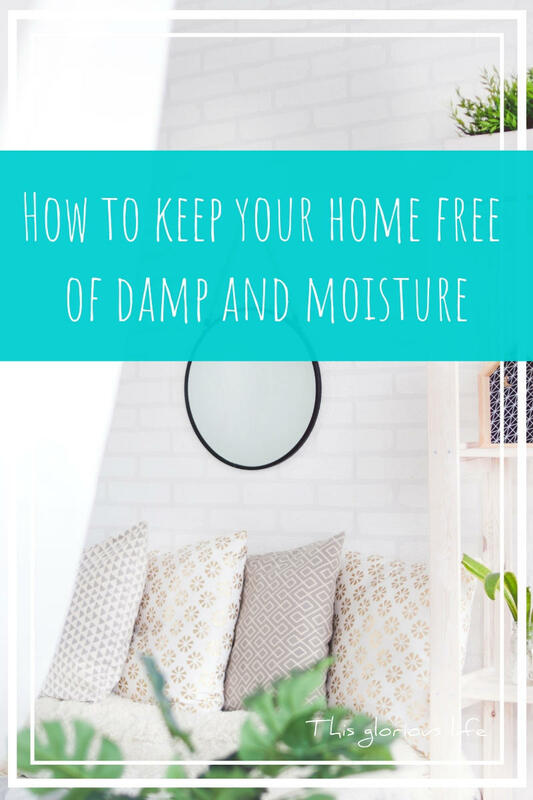 Once you know how, you can easily keep your home damp and moisture free. Thanks to these tips, you’ll be able to stop this from ever becoming an issue. Therefore, you may never have to deal with – meaning less worry and more time to enjoy where you live with the people you love. There are signs starting to appear that hint that spring may well be on its way soon. And while I actually quite like winter with its warm coats and cosy hats I am looking forward to being able to go out without quite so many layers on. I’m also looking forward to shuffling things around in my wardrobe and rediscovering my dresses and other bits of spring/summer clothing. 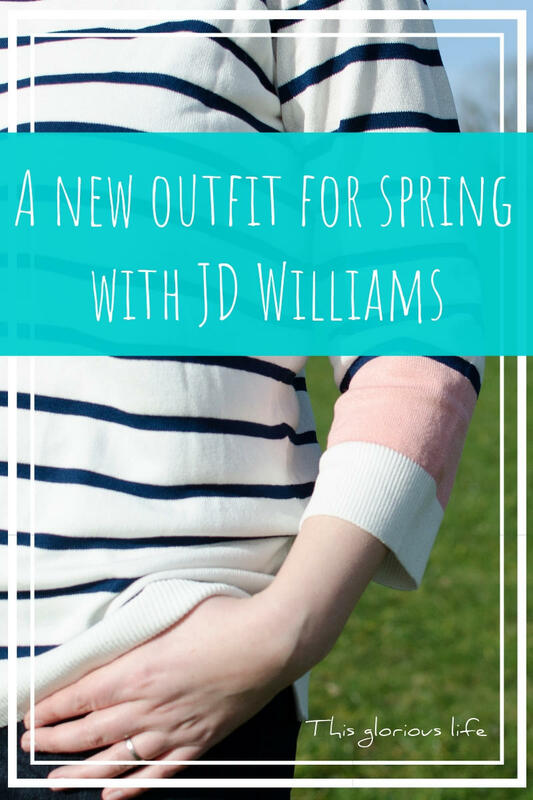 This spring I’ll have some really lovely new pieces to add to the mix after the lovely people at JD Williams got in touch and asked if I would like to review some clothing from their website. There’s a huge range of pieces to choose from on the JD Williams site, from tops to dresses to boots to accessories. I spent ages browsing all the options and could quite happily have picked out a completely new wardrobe full of clothes, there were so many items that I liked the look of. In the end though I chose some pieces to put together a lovely new outfit for spring that still feels very ‘me’ and that I can use to mix and match with bits that I have in my wardrobe to make lots of other new looks with too. The first item I picked out was this white and navy striped top. 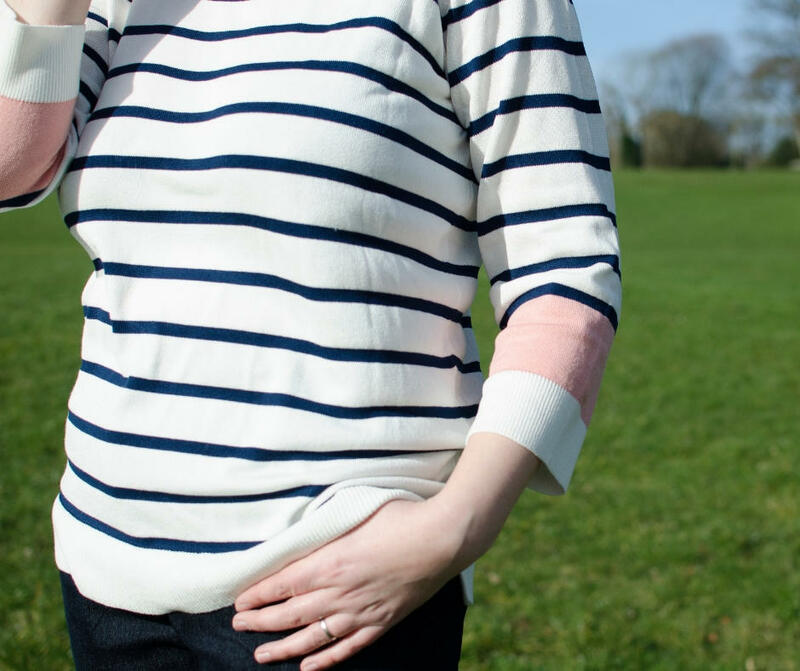 I’m a big fan of striped tops, and I have quite a few in my wardrobe already because they are just so easy to wear. I really love this one with the little pop of pink on the sleeves just to add that bit of interest and to break up the stripes a bit. The top is light-weight and really comfy to wear and I think it looks great with jeans. I’ll also be able to wear it with a denim skirt when the weather warms up a bit. I generally wear size 12 clothes, so that was the size I got this top in. 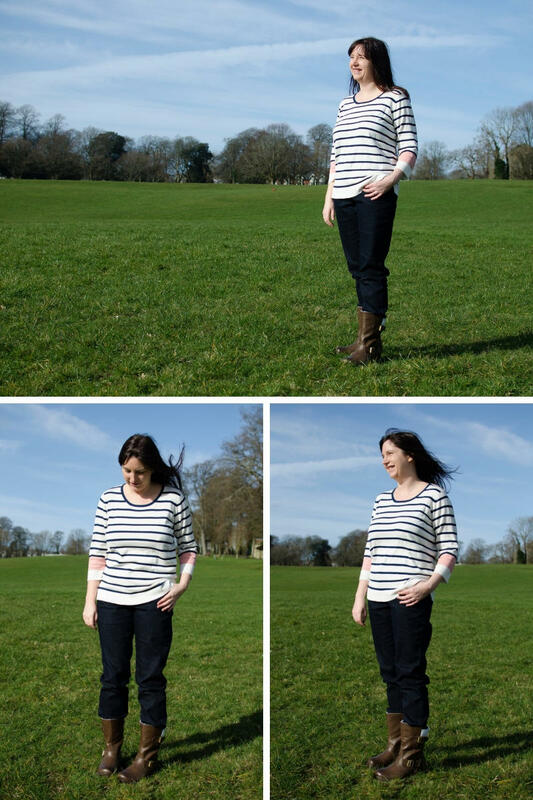 It is a slightly loose fit which I really love as it’s so comfortable and gives it a more relaxed feel. I also picked out some lovely dark wash jeans which are another wardrobe staple. I really love the colour of these and fit is lovely too. 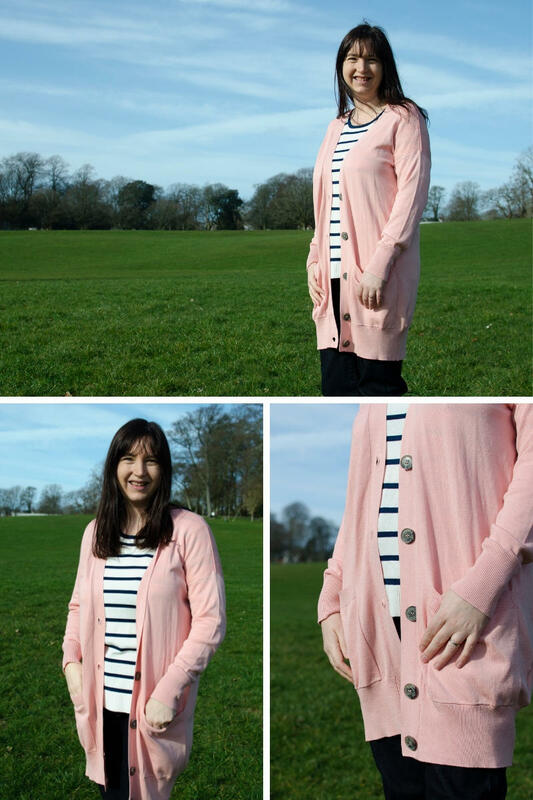 To complete the look and add another layer on spring days when it’s still a bit chilly out I chose this blush boyfriend cardigan. I absolutely love the colour of this cardigan; it’s so pretty. I think it works really well over the striped top but will also be great layered over a few dresses that I already have in my wardrobe. It’s part of JD Williams’ capsule range and I think it would be a great addition to a capsule wardrobe, creating a few different looks when it’s mixed with different pieces. To complete my new spring look I picked out some gorgeous brown boots. These are from the heavenly feet range and they are so comfortable to wear. 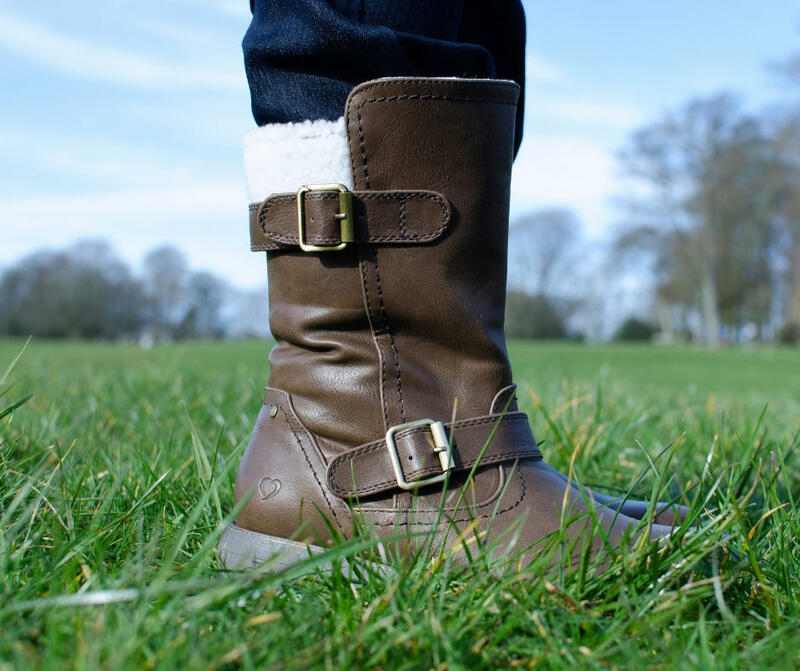 I’ve worn them on several walks and days out with the children and they haven’t rubbed at all and have generally just felt really nice to wear. 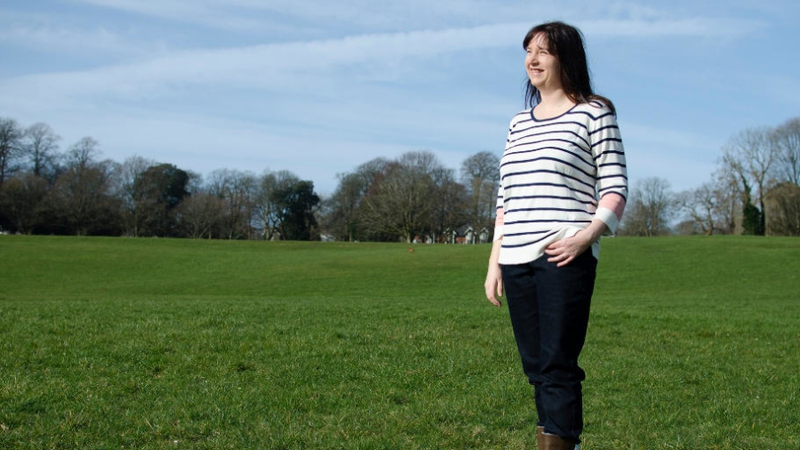 They have a memory foam insock that basically moulds to the shape of your feet when you wear them which makes them so comfortable and also helps to relieve pressure points. They then recover their shape after you take them off so they don’t get worn down. I’ve already had compliments on these gorgeous boots and I can see me wearing them all the time, with all sorts of outfits. 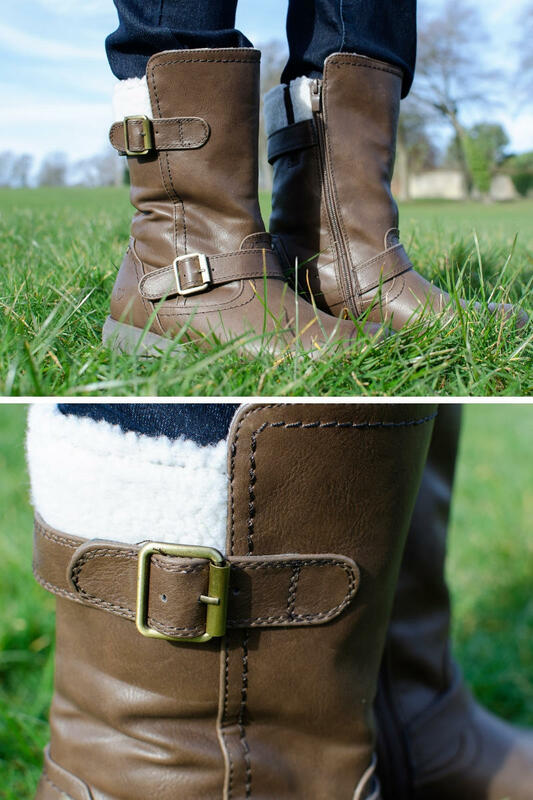 They’re mid-height boots so look great with jeans tucked into them, but I think they’d also look good with dresses on those in-between weather days. What I really love about all the pieces that I picked out is that they work really well together as an outfit but each item can also be mixed and matched with other pieces already in my wardrobe. I’ve been really impressed with the quality of everything, and I found the JD Williams website really nice to use too. 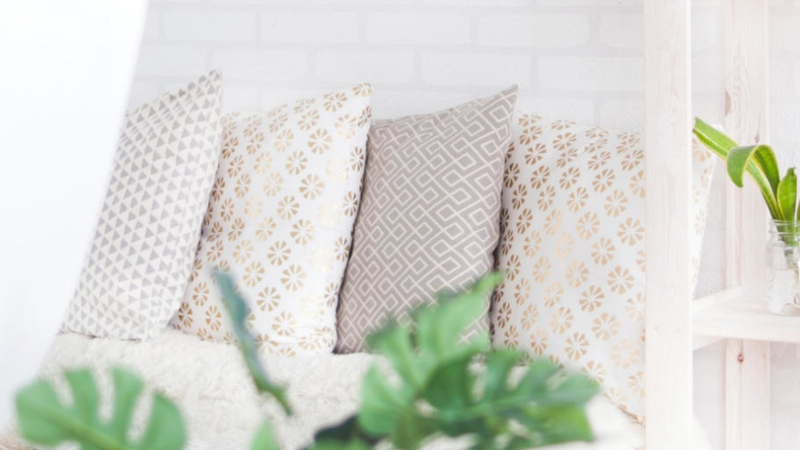 I love that they have such a wide range to choose from, and that you can find brands on the site like Joe Browns and Oasis as well as their own pieces. Now I’m off to see what other new looks I can create for spring with my new wardrobe staples mixed with the clothes I already have tucked away in the wardrobe. Disclosure: I was sent these items from JD Williams for the purpose of this review, but all thoughts, words and photos are my own. 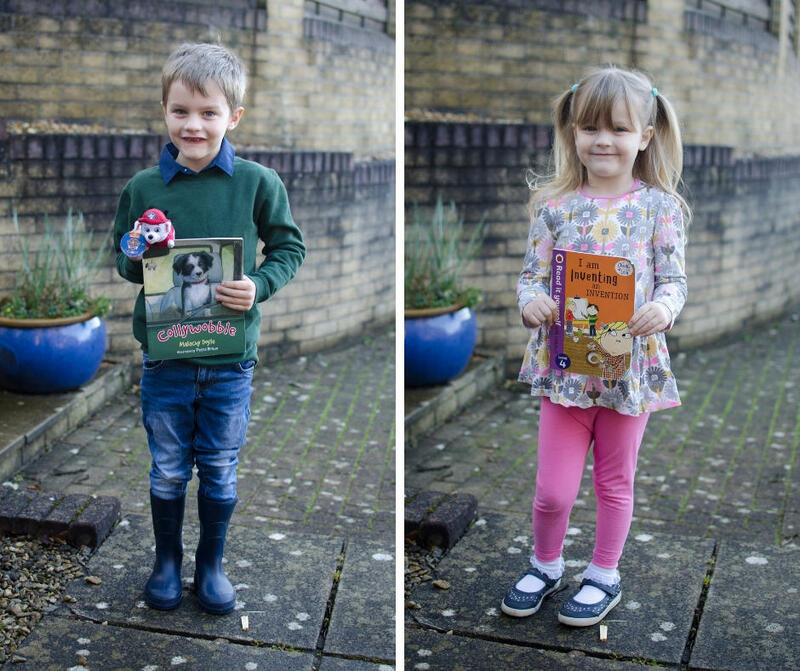 If you have school-age children you’ll most likely know all about World Book Day. 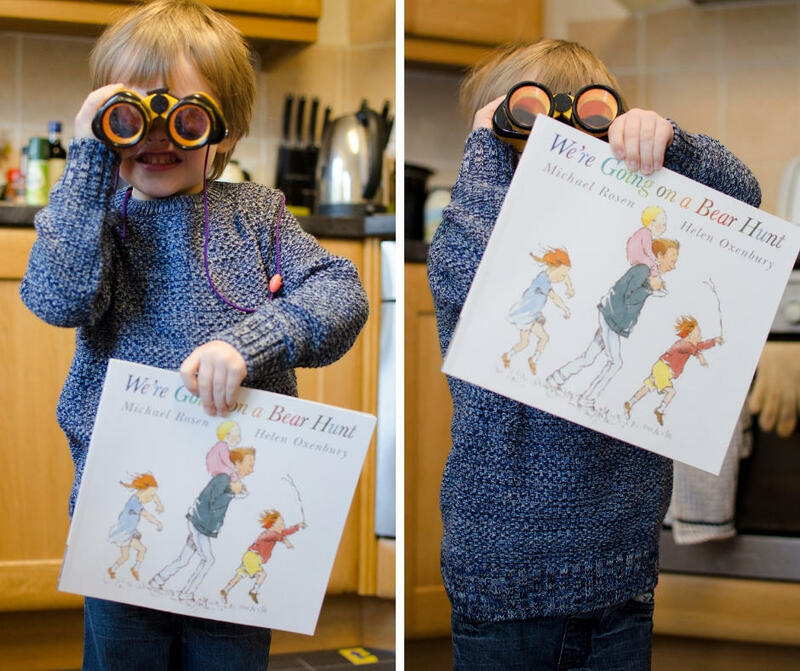 A day when they’re asked to dress up as a character from one of their favourite books. I was lucky for the first couple of years as my son’s school just asked the children to go in wearing their pyjamas, ready for ‘bedtime stories’. 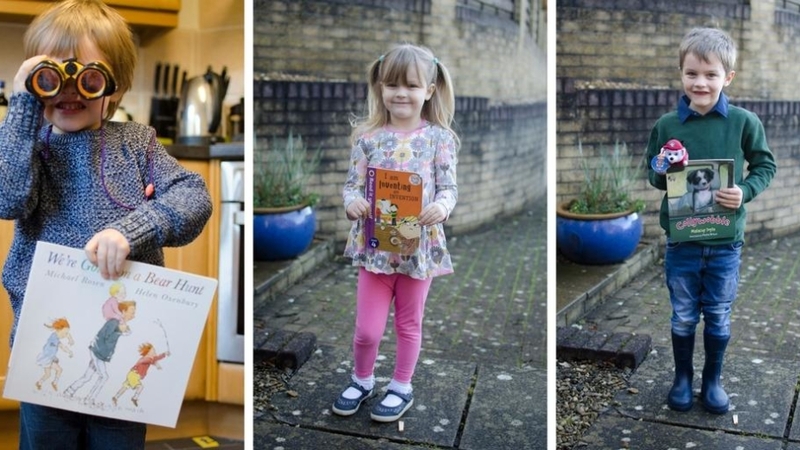 The last few years though they’ve moved to getting the children to pick a book character to dress up as. 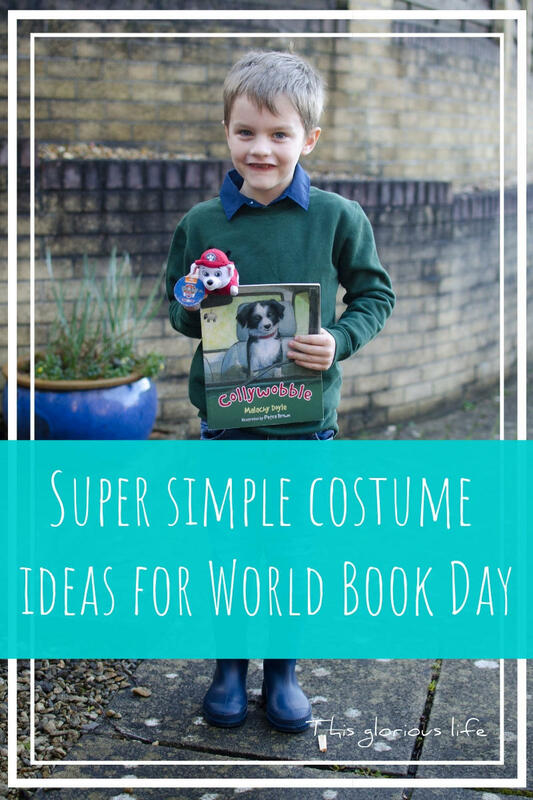 World Book Day has become a bigger and bigger event in itself too, and there are loads of amazing costumes you can go out and buy which does make life easier. I take a different approach though, and just try to pick characters with the children who just wear normal, everyday clothes. It’s super simple, super cheap and more comfortable for the children to wear all day at school. If you’re like me and prefer to take the simple route, or if you need a costume at the last minute, here are some ideas to get you started. I’m giving a simple breakdown of the items you need but it’s worth having a quick google or checking your copy of the book to really see what you’re going for with whichever character you pick. You can take inspiration from the TV adaptation here and go for jeans and a blue/white stripey top for Tim and a red/white spotty top for Topsy. Or if you have some of the books at home then see which one has clothes that most closely match what you have at home. Generally though it’s just jeans and top. And bunches for Topsy. 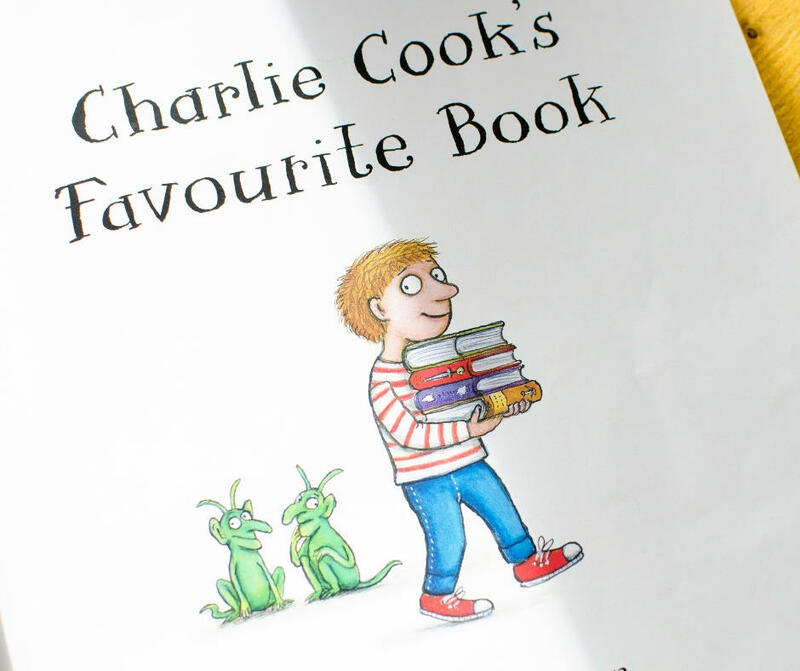 Charlie is easy too, just jeans and a long-sleeved t shirt. And for Lola you just need a patterned dress/tunic and leggings. And either little butterfly clips or sections of hair pulled back in little bunches. Lotta just needs a long sleeve top underneath a pinafore dress, and bunches tied with ribbon. This is who Rhys dressed up as last year. You just need jeans, wellies, a blue shirt and a sweatshirt. Ideally a maroon one but we just used green because that was all we had! Beige trousers, blue checked shirt and blue jacket/zip up hoodie. If you’re feeling creative then you can make a golden ticket to carry. Blue jeans and a red jumper. They can take a saucepan and wooden spoon with them for props if they want, or if you have the time/inclination you can make a bottle of medicine. Jeans and a blue jumper for the older brother. Yellow shorts and a red jumper for the younger brother. A blue dress for the sister. Another one that’s just jeans and a red jumper. To really sell this one though you want a plastic bucket filled with toy dinosaurs. Green shorts and a red/white striped polo shirt. And a well-loved toy dog for bonus points. Blue long sleeved top, purple pinafore dress and blue/purple/white checked tights. Blue shorts, yellow polo shirt, white socks and black shoes. And a Winnie the Pooh toy to carry if you have one. Jeans and a red/white striped long sleeve top. I’m not sure we hear her name in the book, so I’m going with ‘the girl’ until someone can confirm her actual name! For this one you need a green/white dress, green tights and red or orange cardigan. Tiger slippers will really sell it but aren’t entirely necessary. Red long sleeved top under an orange pinafore dress. And yellow wellies of course. A red or orange raincoat to go over the top would be perfect if you have one. Blue trousers, wellies, red or orange jacket and a red/yellow/orange striped scarf. A blue dress, a red ribbon in the hair and a book to carry. Orange shorts and red jacket/top. Dark trousers and a dark roll neck jumper. Wellies or boots. If you have time and want to add some props then a hessian sack or a toy pheasant if you can find one would be great! Basically any jeans/trousers/shorts and a jumper or polo shirt. A dress and a cardigan. A blue skirt and a red polo neck top. This is pretty much the same as Lola and Lotta – a patterned dress or a pinafore over a long sleeved top. 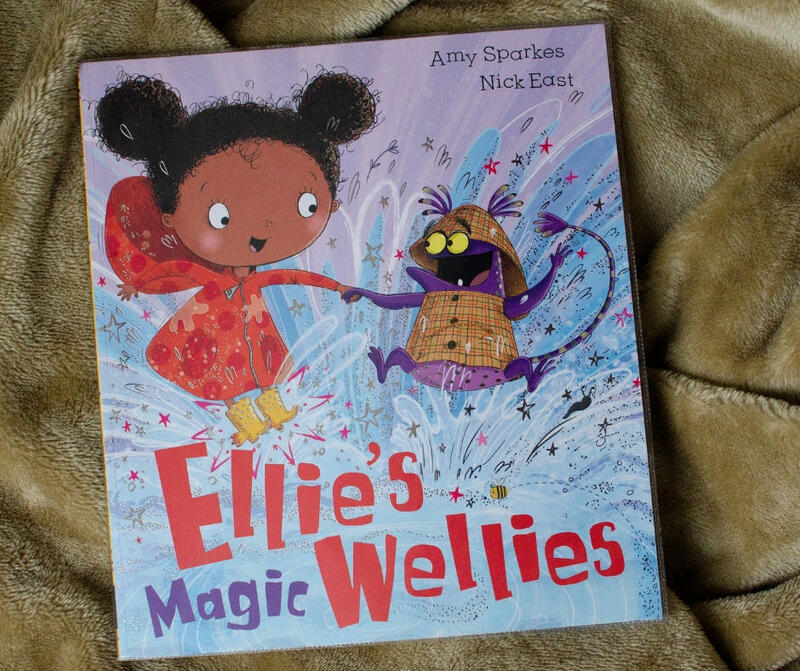 Hopefully something in this list will fit clothes you already have at home, and make World Book Day a breeze this year. If none of these suggestions work for you then just take a look at the books you have at home that you and your children love and see what characters are in them that basically just wear normal clothes. Then just send them to school with either a name tag or a copy of the book itself if it’s not clear who they’re suppose to be. 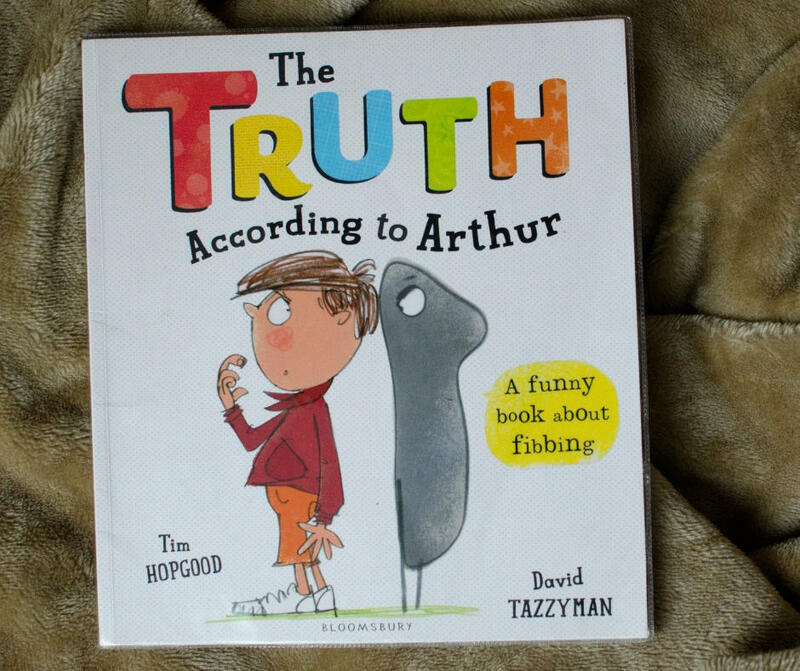 What is your approach to World book day? Do you go for the simple option like me, or do you prefer to go all out with proper costumes? 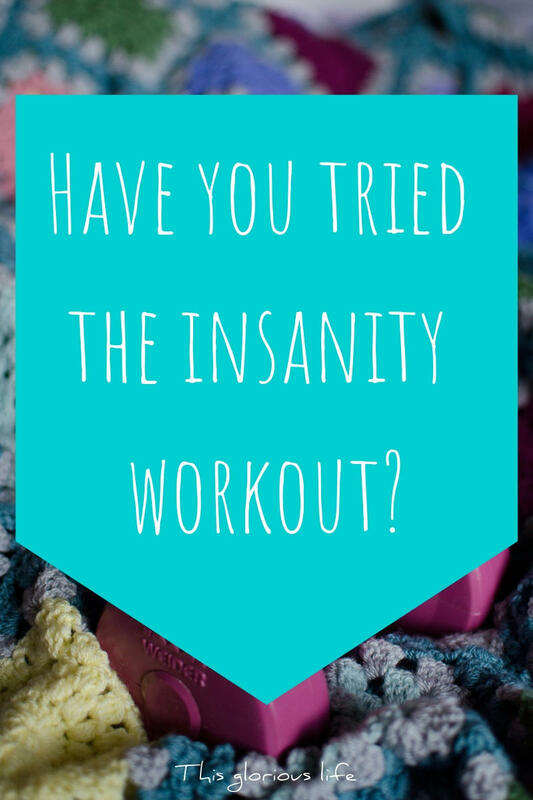 Have you tried the insanity workout? If you’ve surfed through your TV channels and come across 100s of ‘lose weight quick’ commercials only to be left confused, don’t worry, you are not the only one. However, one which ought to get your attention is the Insanity workout. Created by Shaun T., The Insanity training course uses a technique referred to as max interval training, which is often featured in the best personal training course online qualifications. Basically, you exercise at full power for three to four minutes, and then cool off for thirty seconds before repeating the intense procedure over again for about 45 minutes. It’s kit-free, making use of just your body weight, which makes it extremely flexible and comfortable for anywhere you want to get a sweat on. However, it’s not for the weak of heart, or complete beginners. Working out with this degree of intensity, flat-out for exhausting bursts is unsuitable when you don’t currently have a decent foundation of wellness and fitness. Developed by a track and field instructor, it’s the level of intensity of the primarily cardio-based Insanity workout that enables a very high-calorie loss – around 1,000 calories in every single workout once you really push yourself. This makes sure you are covered in sweat at the end, hardly capable of catching your breath – in fact, it’s truly tough, particularly if you decide to go into it having not carried out any training in the past. However, you’ll begin to see good results rapidly once you work hard at it, and that’s what it’s all about. The workouts last around 45 minutes, giving you the ability to do them at any place, although at home is usually more suitable. It’s ideal for people that don’t like going to the gym or whose lifestyle ensures that a gym membership doesn’t provide good value. HIIT is research-tested as a powerful way to lose weight as well as tone up rapidly, and this DVD set can help inspire you to keep working out at a very high rate for 45 minutes. Insanity is really well known and like most things has a few drawbacks and some great advantages. Listed here are a number of its advantages and disadvantages that you ought to think about before purchasing the program. The regime is designed to help you take cardiovascular health and fitness to higher levels by challenging the body daily in numerous ways. It includes a number of workouts each day and helps avoid boredom from a single routine. Regardless of your current fitness levels, you can still complete the program easily at your own schedule and pace. Insanity is designed for anyone to do, since you only need a DVD player. Absolutely no equipment is needed, so you can get it done anywhere you happen to be, even when taking a trip. The program comes with a dietary guideline to enable you to have a healthy diet plan. 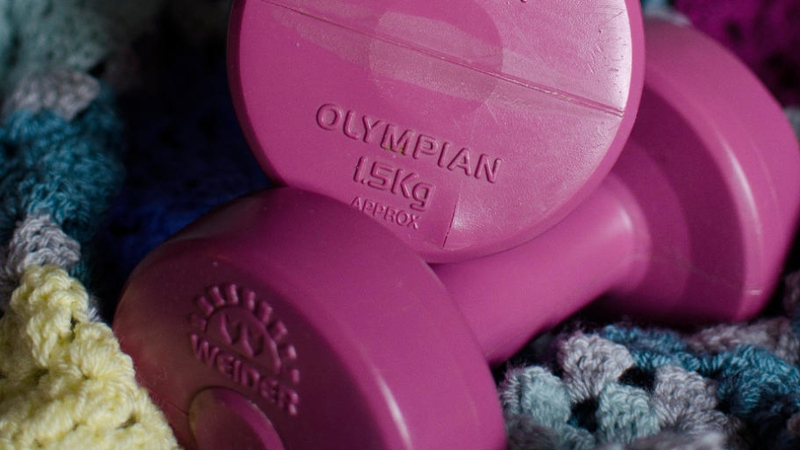 No need to head to the gym or even purchase additional pieces of equipment. High-intensity workouts might demoralize newcomers or even individuals with bad health conditions. The program is furthermore not intended for overweight people or individuals suffering from cardiovascular disease. It is easy to get distracted as it is an at-home regime. There is no muscle building beside light-to-moderate body weight moves, so it’s not for bodybuilding. For those who have the grit, persistence, and also don’t like the idea of or can’t afford to pay for a gym and fitness instructor, you can do much worse than purchasing Insanity – so long as you stick to it. Remember, you do need to make sure you stick to the diet plans that are included as well. No matter what age your child is, it’s likely you’ve witnessed a melt down or two. When children become angry, they often become irrational and it’s difficult to get through to them. That doesn’t mean they should be punished for feeling or acting this way. However, as a parent it’s hard to know how to manage the situation. 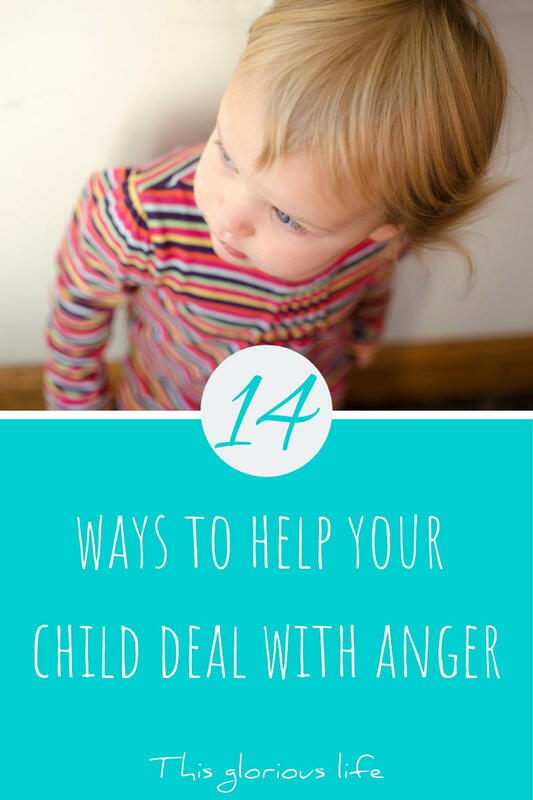 Here are a few tips on positively helping your child to deal with anger. It’s easy to lose patience with an angry child who won’t see the wood from the trees. You can do everything within your power to help your child fix the problem, but until they are ready to find a solution all you can do is remain calm and set a good example. Anger will trigger the fight or flight reaction, making your child either look for a fight or a reason to flight. Don’t give it to them. The worst thing you can do is dismiss your child’s feelings. Even if their anger seems irrational and unreasonable to you, it’s stemming from somewhere very real for them. Trying to ignore the problem until it goes away just tells your child that you’re unwilling to listen to their feelings. By not listening, you could escalate the problem. Be ready to listen and acknowledge the way your child feels so they have the chance to become calmer in your presence. Remembering yourself as a child, you probably can recall times where you didn’t agree with your parents or felt that something was unfair. Your child will go through the exact same feelings. Even if you’ve got the help of family law solicitors during a divorce, your child will still struggle with the situation. It can hurt if your child blames you for feeling angry, but you should still acknowledge the feeling. 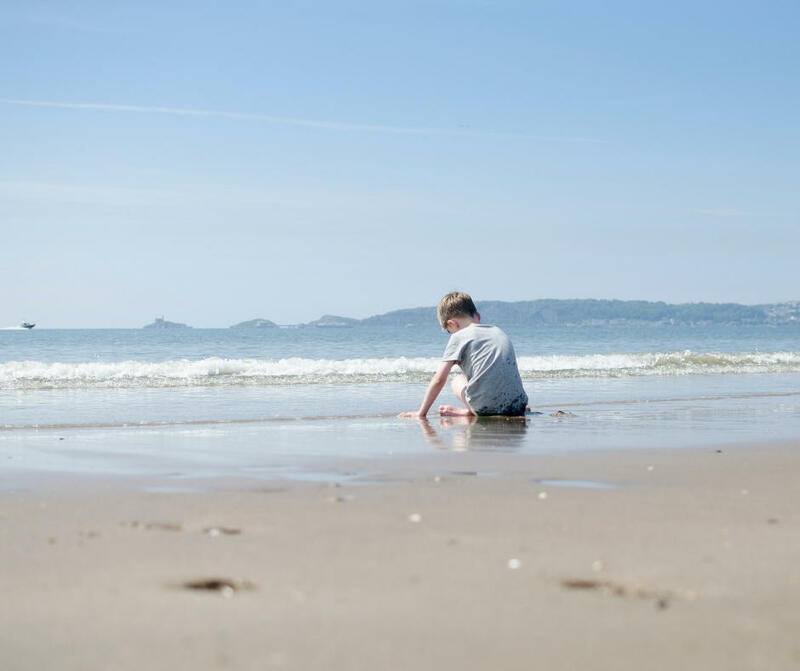 You don’t have to necessarily agree with it but telling your child that you’re sorry for the way he feels will help to open lines of communication. When your child is angry, it’s likely he’ll say things he doesn’t mean. You may be the unfortunate recipient of a personal attack or perhaps your child will be very rude. All this can also happen in public because sometimes, the more hurtful the better when your child is trying to make a point. It’s hard to not take this personally, but you have to think of it from your child’s point of view. He is using the most hurtful things he knows of to explain how upset he is. Try and diffuse the situation by understanding instead of biting back. Your child may be very upset, but that doesn’t mean the rules go out of the window. Sometimes children become physically violent when they’re angry. If you or another member of the family ends up on the other end of a slap or kick, it’s okay to correct your child. Letting your child know that you can see she is upset but slapping and kicking are still not allowed will reinforce your rules while letting her know that you acknowledge the upset. If you have to remove your child from the situation to keep others safe, do so. If your child is in a full on melt down, it would be pointless to try and reason with her. Trying to explain why it’s okay or why she can’t have what she wants is futile at this point. The only thing you can do is try and help her to calm down. Reassurance is what she needs at this point, even if you don’t feel like it. Saying, ‘I know it’s hard’ will let your child know you register the hurt she’s going through and may have a solution when she’s calmer. Depending on your child’s age, you may be able to sit her down and explain your own thoughts once the storm has passed. Tantrums are so often punished by parents, but the truth is, they are how our children learn to deal with bigger problems in life. Punishing a tantrum could essentially teach your child how to handle bigger stresses later on. Many child psychologists have referred to tantrums as a child’s way of blowing off steam. Whereas an adult may reach for a glass of wine or go run a bubble bath, children aren’t developed enough to know how to handle difficult situations. 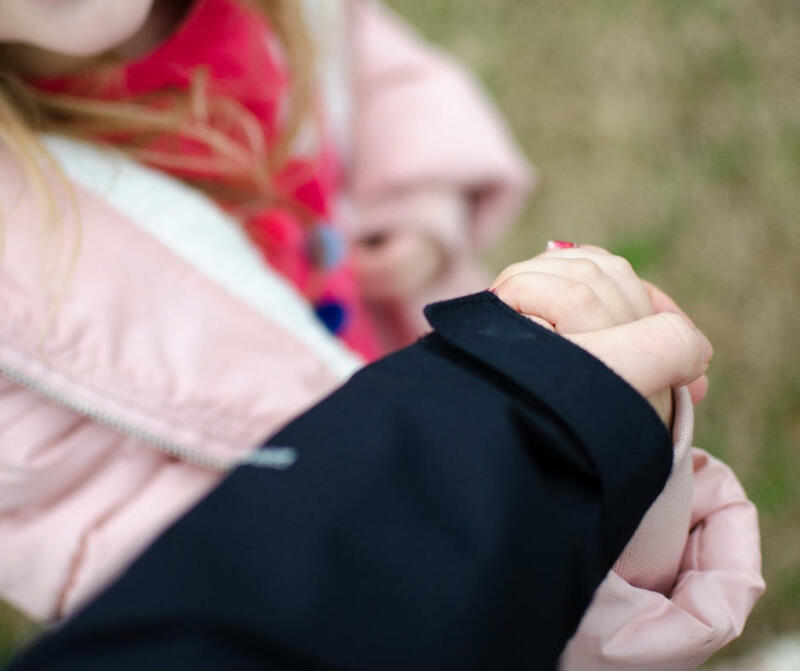 Supporting your child through a tantrum is the best way to develop trust and help your child develop the control he needs to manage his emotions in the future. It can seem like children have a tantrum in the moment. Something may spark them off and suddenly they’re in full blown melt down and there’s nothing you can do to soothe them until it’s over. What you may not know is that children often remember other things that have upset them when they’re having a tantrum. It’s often more than just what’s on the surface. 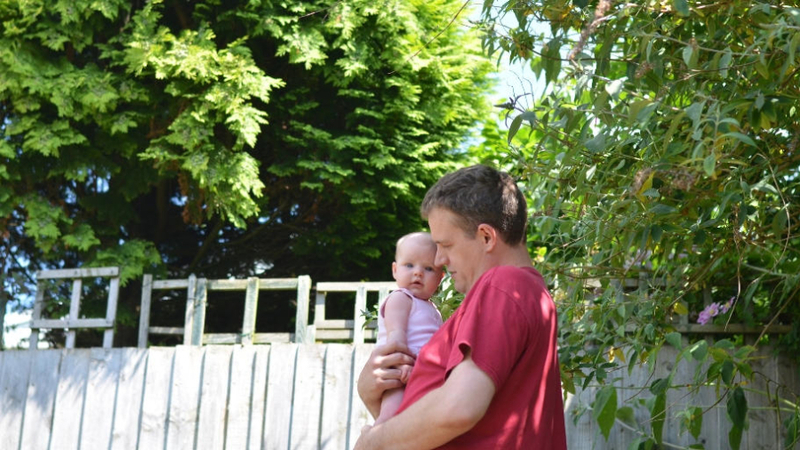 It could be something that upset them months ago re-hashing itself in your child’s memory and you’re both having to deal with it all over again. Children don’t process things the same way we do, so it’s wise to expect a melt down to be more than it appears to be. The beautiful thing about the relationship between a child and parent is that it’s healing. As a parent, you have a unique opportunity to create a safe place for your child to express himself. Once your child knows that he’ll be listened to and not judged, there becomes less need for anger. Your child knowing that they’re allowed to vulnerable is the best thing you can do for him. Once the hurt and sadness has been expressed, it makes room for healing. 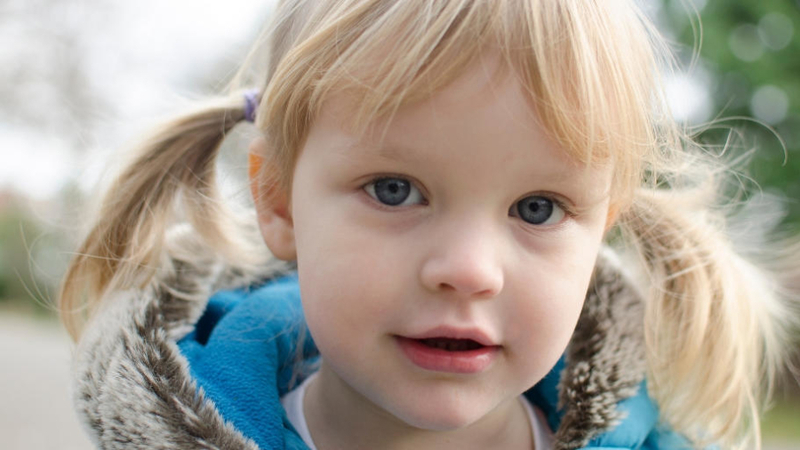 Young children that go through tantrums may hit out and become physical. 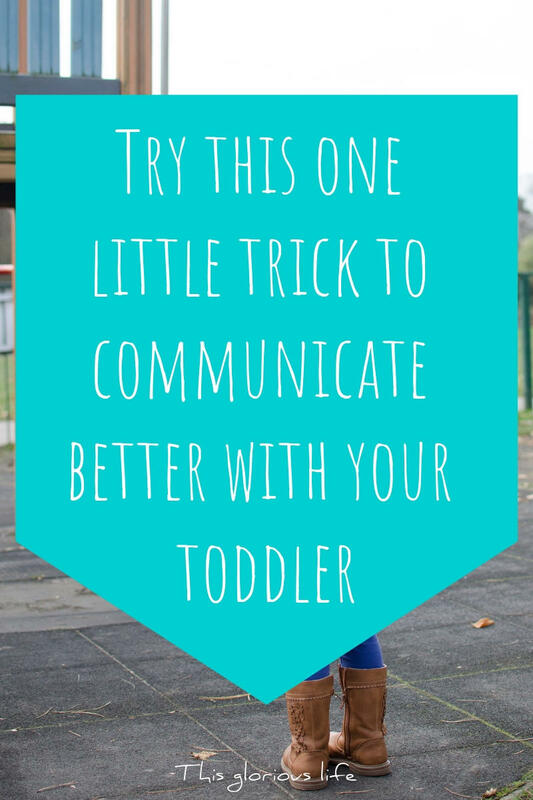 Instead of putting your child in a different room or exiting the room yourself, take a few steps away instead. Let your child know that you aren’t going anywhere but you won’t let her hit you. Many young children may shout ‘Go away’ despite your efforts, but still don’t leave the room. Tell your child you’re going to sit down somewhere since she asked you to go away but reassure you that you aren’t leaving. Your child will try and push you away but staying and showing support and love will break through the hurt. It’s okay to think, ‘why should I stand here and let him do this?’ Your child is clearly overreacting and there are times when you’ll think that’s not okay. The problem is, as an adult you’ve learnt to express your feelings in a way your child can’t comprehend yet. You don’t melt down over the colour of a cup anymore, but your child will, just because. It may be that your child is overtired or trying to process something or sometimes it’s just because your child needs a good cry. Embracing the melt down and staying calm is exactly what you both need. If your child is screaming on top of his lungs because he can’t find a toy he hasn’t played with in decades, it’s not about the toy. Don’t be tempted to tear the bedroom apart to find the toy. It may be the only thing that will shut him up right now, but it won’t deal with the underlying problem. It’s okay if you can’t find that toy for him. If he allows you, give him a cuddle and a kiss and let him know that you understand it’s difficult when you want something but you can’t find it. These are the biggest problems our children go through and to them, they seem like impassable mountains. Let your child know you’re there and you can fix the problem together. It may be tempting to explain to your child why you’re always right and why he should always listen to his parents, but that won’t do much for your child. Lecturing your child will likely go in one ear and straight out the other- save your breath. Instead, explain what happened to your child. Let him know that he asked for something, you said no and he got angry. Let him know that you saw that he was upset but things got better when he calmed down. There’s no need to remind him that you were right. 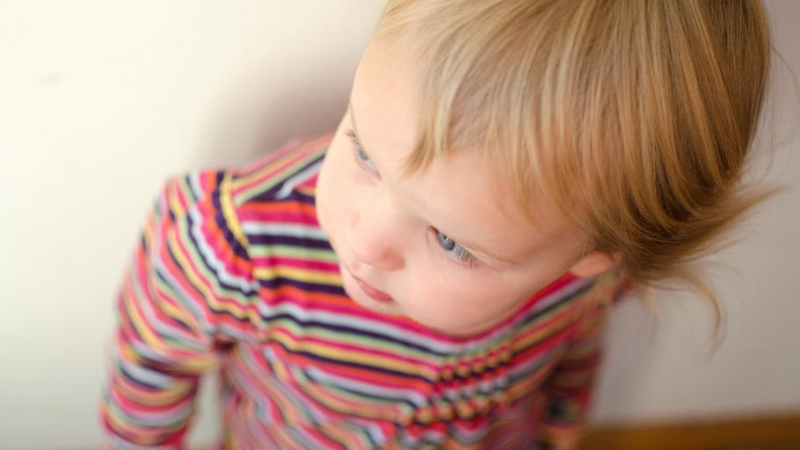 Won’t you need to teach your child through these tantrums? The great thing about kids is that they absorb so much through their emotions. The better you handle their tantrums, the better they will. Encourage your child to make choices next time she feels angry and each time will get easier and easier for you both. Dealing with a child’s anger isn’t easy but it can be done positively. 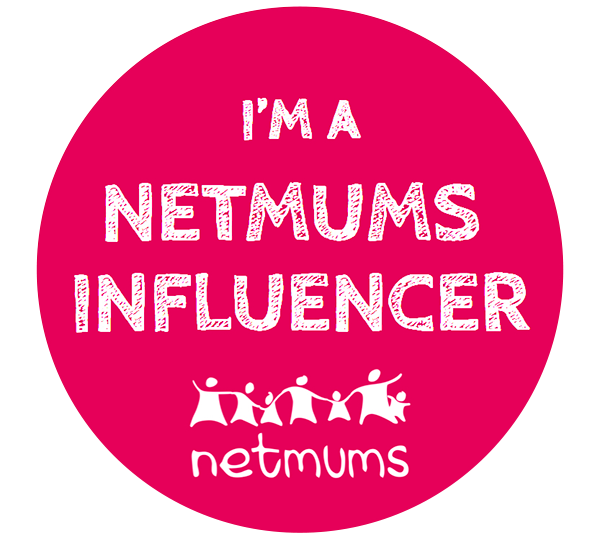 Whether you work full-time, or part time, or stay at home with your children, life as a parent is incredibly busy. So any shortcuts you can take or tricks you can use to save yourself some valuable time and energy are well worth knowing. 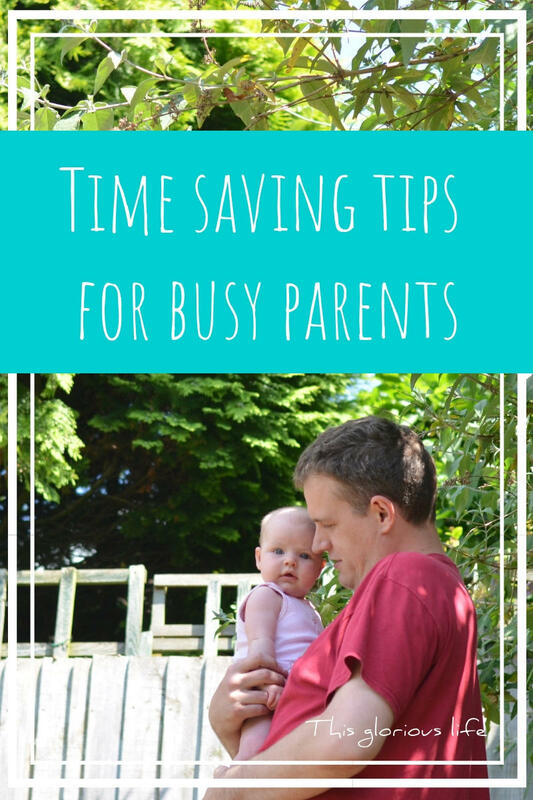 Here are some of my favourite time saving tips for busy parents that help me claw back some of that precious time and feel a bit more in control. Wherever possible get people to come to you with their services instead of you going to them. Order your food shopping online and have it delivered to your home. If you need anything doing to your car get them to come to you. Whether it’s a diamond cut alloy repair or replacement window glass, you can find someone to come to you rather than spend precious time sat in a garage. There are more and more services popping up that can help you, so next time you think about going somewhere to buy something or fix something, have a quick look online to see if there’s a way you can get someone to bring it to you instead. When you’re cooking dinner make enough for a few meals. It won’t take you much longer that day but will save a lot of time in the future. You can pop the extra in the fridge to reheat the next day or portion it up and freeze it for nights when you’re really short on time. Another great way to save time in the evenings is to use a slow cooker. You can just chuck in all the ingredients in the morning, leave it on low all day and have a delicious meal ready for you in the evening. I love using our slow cooker for various soups, baked potatoes and sweet potatoes and even ‘roast’ chickens for a super easy Sunday lunch. If you know that your mornings are always hectic, trying to get everyone out the door for school and work on time, then do as much as you can to prepare the night before. Make sandwiches and pack lunches. Make sure all the bags are ready and any forms or letters that need to go back to school are sorted. Check the weather forecast and get suitable clothes and shoes/boots out and ready. Basically do anything you can the night before to save stress and time in the morning. Following on from the last point, you can save yourself a lot of time in the long run by getting more organised and putting systems in place. If you know that you always waste valuable time looking for your keys in the morning, then pick a designated spot for them to be put every single time you walk in through the front door. Do the same for all the important things you need to keep track of. Having a central family calendar where you can write down everyone’s appointments, clubs and key dates is so important to keeping on top of everything. You could even go one step further and set up a home command centre so everything is kept up together, saving you so much time in searching for things when you’re in a rush to leave the house. 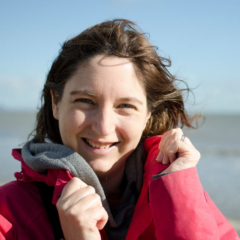 Hopefully these tips will help you save some time and feel a bit less rushed off your feet. Do you have any other brilliant time-saving tips? I’d love to hear them in the comments!